Funny Comic of the Day! I thought this comic was funny and appropriate for our discussions this week. Thanks to Dave Coverly of www.speedbump.com for permission to post the comic. He is selling merchandise embedded with another funny comic. What do you think? 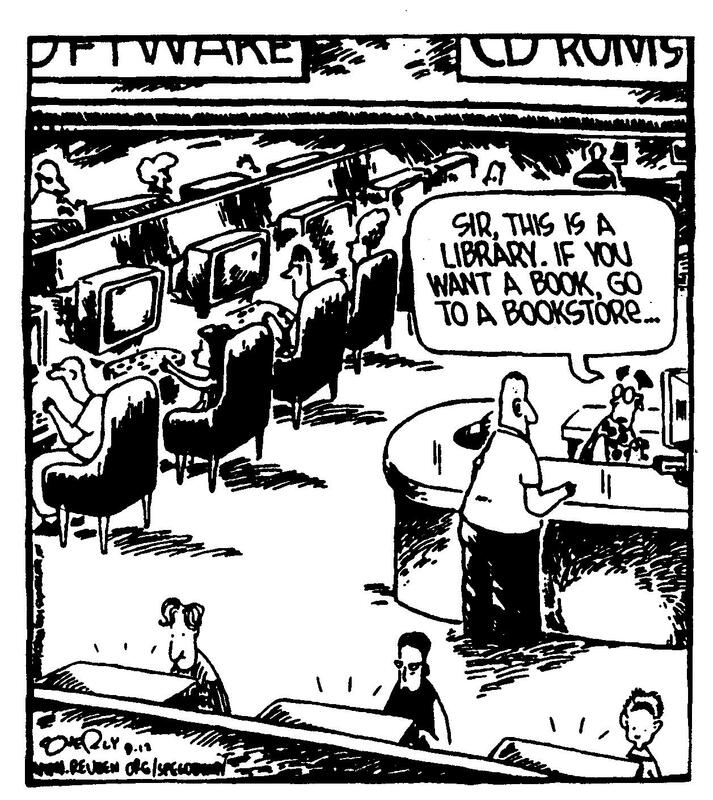 Should librares act as book warehouses for communities, or has our role changed like this comic implies? « Are Libraries going through an Identity Crisis?